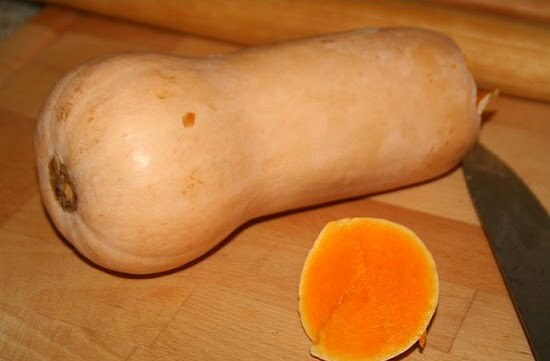 Butternut squash has such a beautiful color and is so smooth when processed raw or roasted. You don't ever want to boil squash, because it will loose alot of it's flavor in the water. Roasting it or baking it brings out the sweetness and flavor! 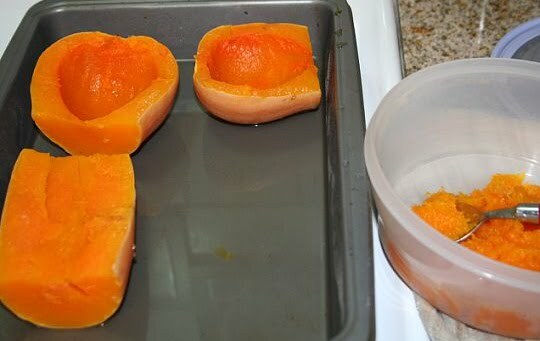 -Serve warm or let it cool to remove from the skin. I use a spoon to scoop out the flesh. You can eat as is, puree for baking/cooking or freeze and use later.